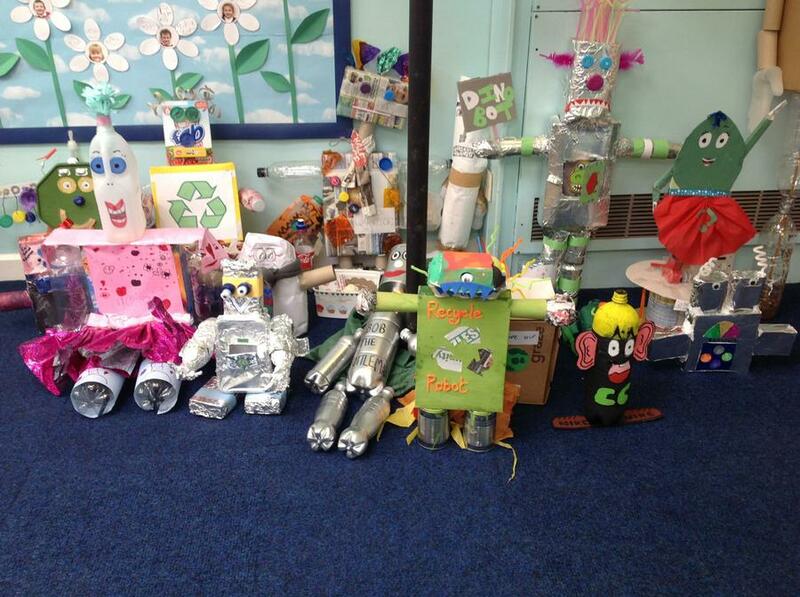 From tall robots made of tin and cardboard to a small family of characters made of tissue and bottles, the children at Windhill have put in the extra effort to design an Eco Mascot for our school. When you were asked to design a mascot, we wouldn't have believed the ingenious creations you have to display. You've made choosing a mascot a difficult task for Miss Hurst and Mrs Morton as the artistic talents shocked them both. 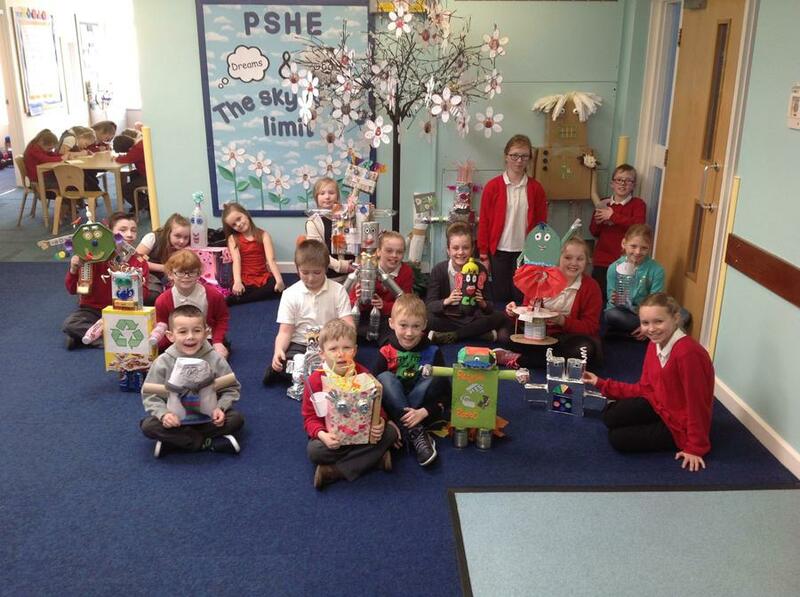 Please take a look below at some of the wonderful designs.